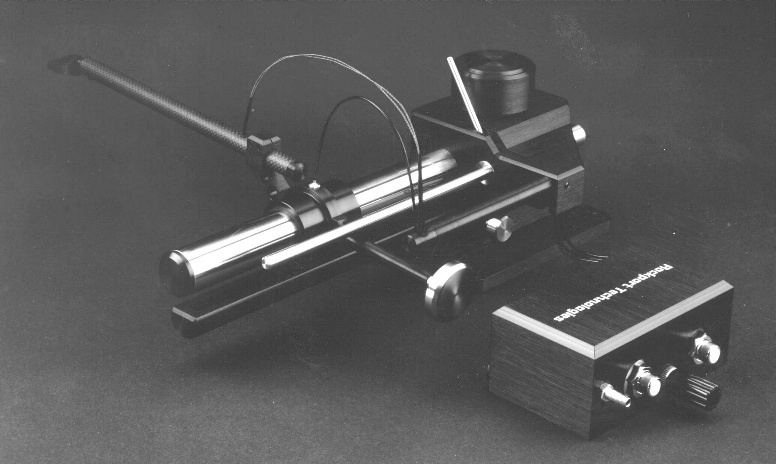 Welcome to Roscoe Primrose's Page Dedicated to Poul Ladegaard's Air Bearing Tangential Tonearm! Drawing of Author's first prototype arm. Photo of final prototype arm. Performance graphs of the arm. 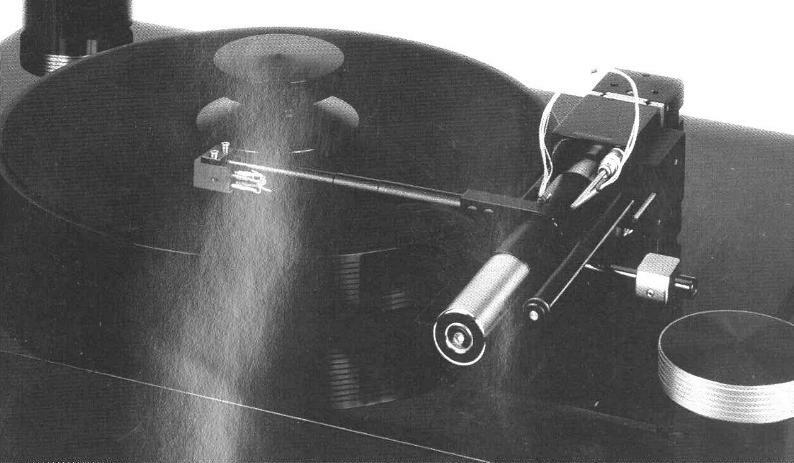 Furthermore, building your own tone arm is still something most people can do and get away with decent, maybe even superb results if the necessary craftmanship is present along with good ideas. The emergence of air arms in the past few years has shown new possibilities and given a lot of inspiration. In this respect, this article will give some hints to a DIY arm that not only is extremely affordable, demands no special tools but also represents an almost perfect solution. The result can be characterized as a geometrically optimized, light arm with a traditional cardanic suspension. But the mechanical problems associated with such a DIY design were substantial. Motor and gears for movement were not silent and naturally caused a stepwise movement of the arm. 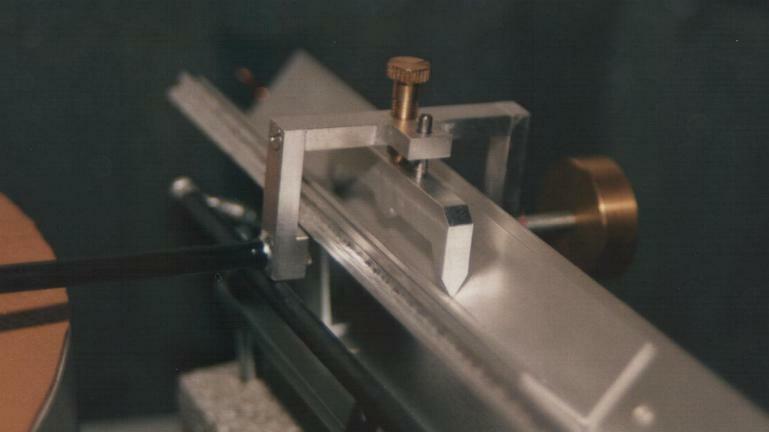 Countless experiments with gliding rails for the lateral bearing, contacts for starting and stopping the motor, lift design etc., was needed. Still, the operation was only for the expert and the numerous service interruptions were only accepted by the designe, who was put to the test. He knew how difficult they were to avoid. But times of musical enjoyment of the highest quality are remembered, often of several minutes' duration, and occasionally, an entire record side! And such moments are not easily forgotten by a do-it-yourselfer. The basis was/is that there is only groove modulation in the horizontal plane at lower frequencies, below about 200 Hz, and that unwanted disturbance from warps on the record exist in the vertical plane. Due to the desire for the best possible transientresponse, the frequency response in the horizontal plane should be as smooth as possible, with a soft 6 dB/octave rolloff down towards 1-2 Hz, so that the only disturbance from eventual excentricity can be eliminated. Now the challenge was to establish the tangential movement of the arm and arm base, now weighing more than 500 grams. It turned out to be a problem for the expert! Any sort of stepwise movement would instantaneously provoke any modest assymmetry in the arm and cause torque momentum, sending the diamond on an involuntary skating trip. Here, the idea of a new principle of movement had to be tried. The mass of a lead weight was to be transformed into the needed horizontal pull force using a pulley. Separating the arm resonances in the horizontal and vertical planes and the corresponding optimalization however, is beyond any doubt desirable. The objective was to get the horizontal plane arm resonance down to 2-3 Hz. The arm and carriage weigh 160 grams altogether, which was incteased up to a total of 300 grams with two triangular lead weights. These were molded in the bottom of a leftover angle profile. This yielded the desired results. See measurements (Arm Graphs). 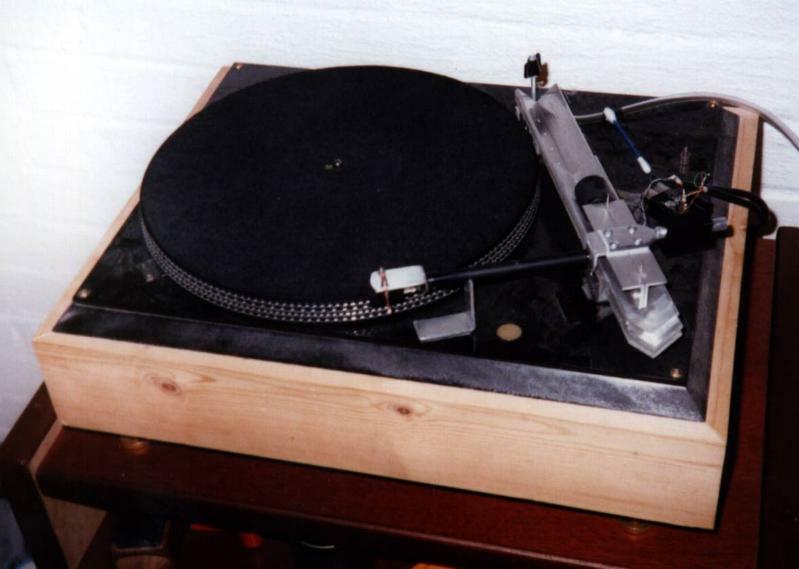 Thomas Dunker's Ladegaard arm & turntable project. 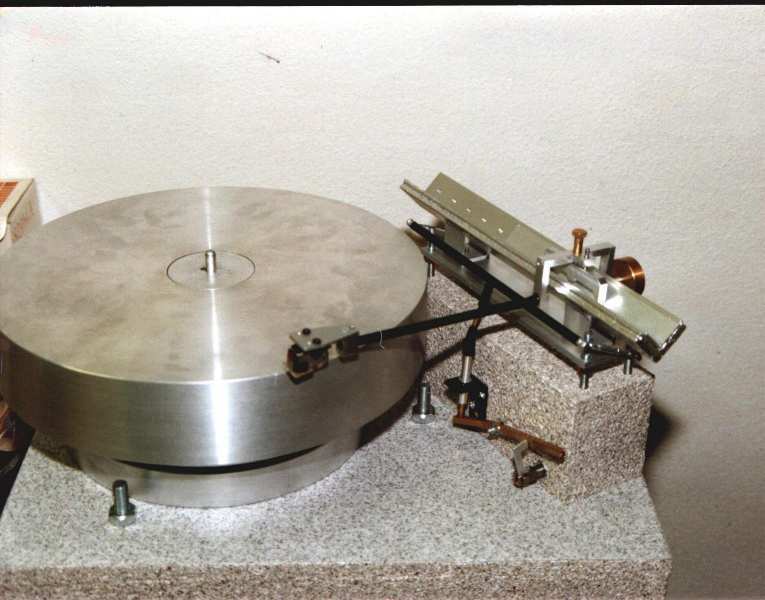 JP Garigon's Turntable and Ladegaard arm. Back to Roscoe's Ultra-Fi page.